A modern interpretation of a classic dressing table. 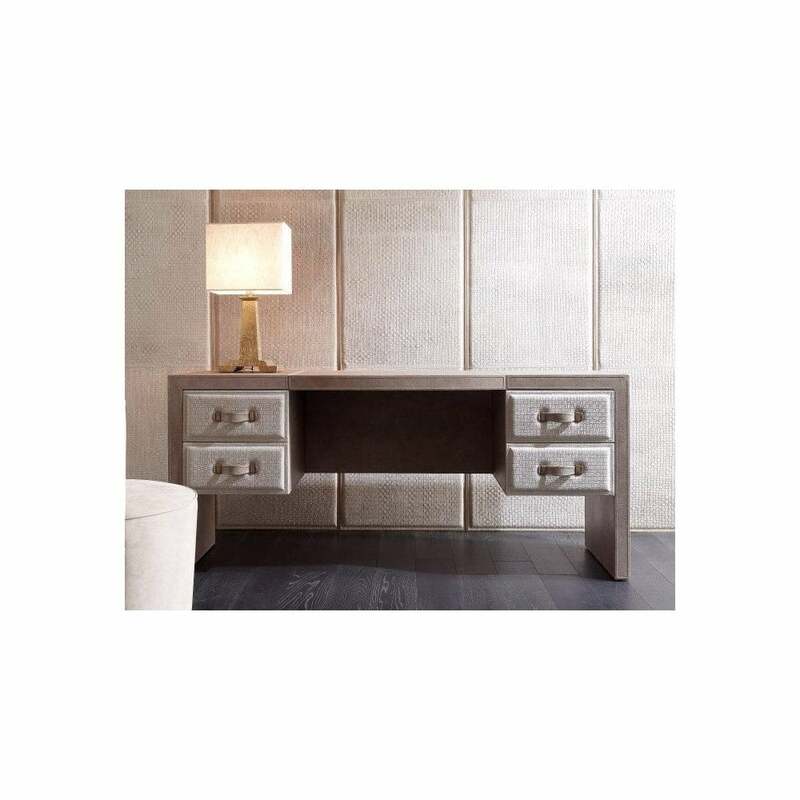 The Zion Dressing Table by Rugiano Interiors features a timeless rectangular frame with four fitted drawers and an in-built mirror. Combining both elegant Italian style and a functional storage design, Zion will suit both contemporary and traditional interiors. Upholstered in the finest Pelle or lacquered leather, choose from a wide range of smooth and textured shades to suit your bedroom scheme. The fold down mirror is both luxurious and practical providing a compact solution for getting ready in the morning and evening. Use the dressing table to store your beauty and skincare essentials as well as showcasing your most treasured trinkets and photos. The Zion collection of furniture will bring a touch of glamour to your space whether a chic city apartment or a rustic villa. Available in a range of bespoke finishes, get in touch for more information.